It was rainy when I woke up this morning, which always makes me want to bake. The smell of fresh baked scones wakes up the sleeping husband who would other wise sleep until noon if I ever allowed that, J/K. 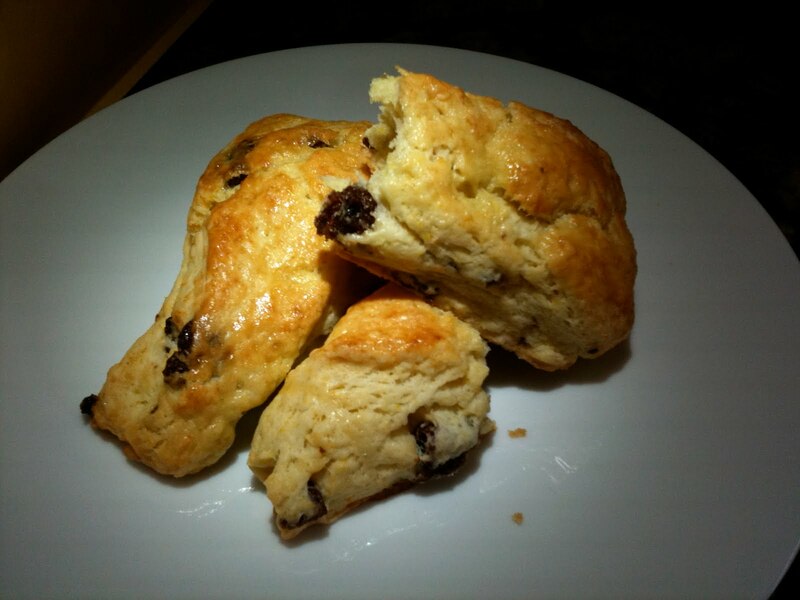 Scones are easy and so delicious on a chilly morning. I have some beautiful big dried strawberries I got on our NYE trip to Seattle, these will join the scones and make for a yummy sweet nibble in the flaky goodness. First off if you know you’re going to makes scones the night before freeze some butter, I always keep butter in the freezer, you’ll see why soon. 3/4 cup frozen unsalted butter, grated like cheese. 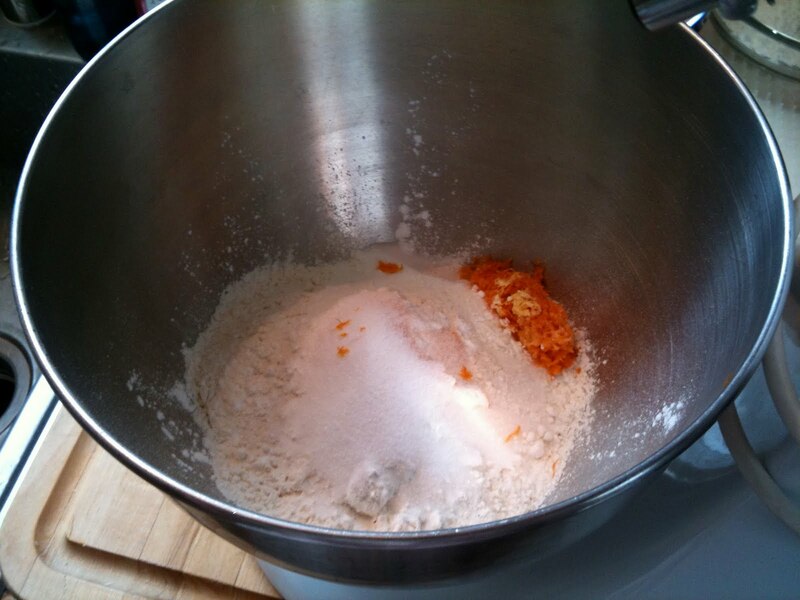 In the bowl of an electric mixer fitted with a paddle attachment, combine 2 cups of flour, 1 tablespoons sugar, baking powder, salt & orange zest. 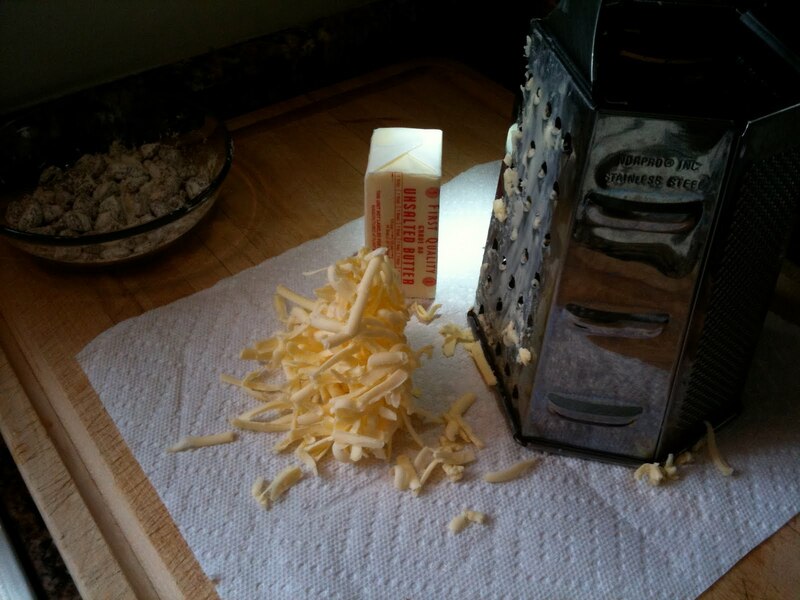 Grate in the frozen butter with a cheese grater and add to the other dry ingredients. This is a great trick for using butter in pie crusts too. My amazing friend Debbie hooked me up with this very cool idea and I always keep butter frozen just for this purpose. Combine the eggs and heavy cream and quickly add them to the flour and butter mixture. Combine until just blended. Toss the strawberries with 1 tablespoon of flour, add them to the dough, and mix quickly. The dough may be a bit sticky. Dump the dough out onto a well-floured surface and be sure it is well combined. 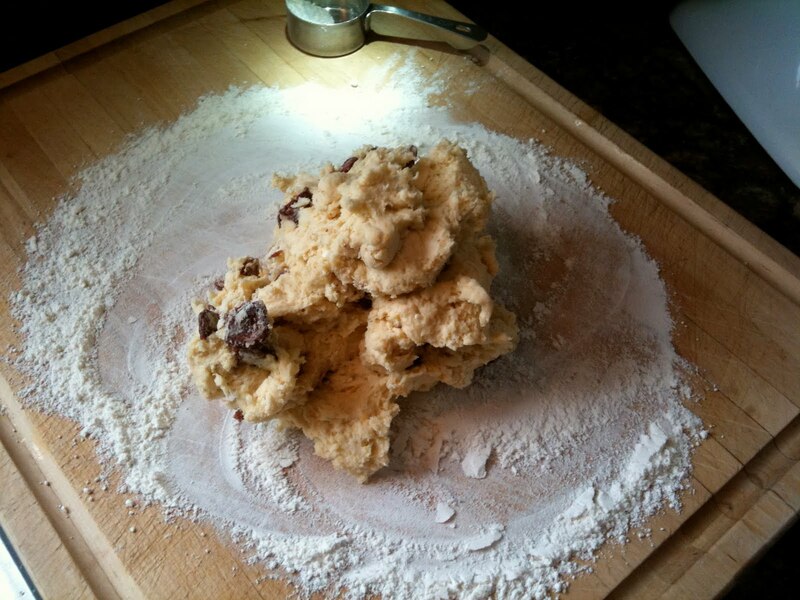 Flour your hands and a rolling pin and roll the dough 3/4-inch thick in a round. You should see lumps of butter in the dough. 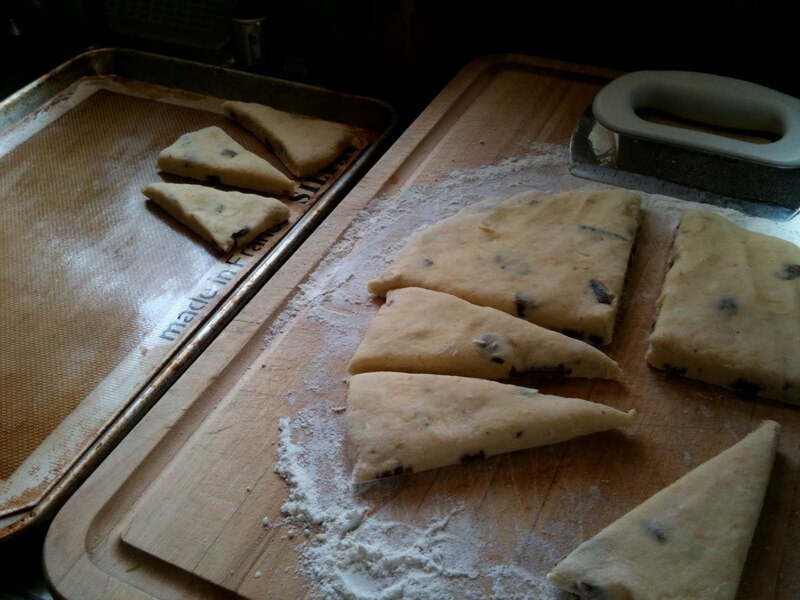 Cut the dough like a pie and place on a baking sheet lined with a silpat. 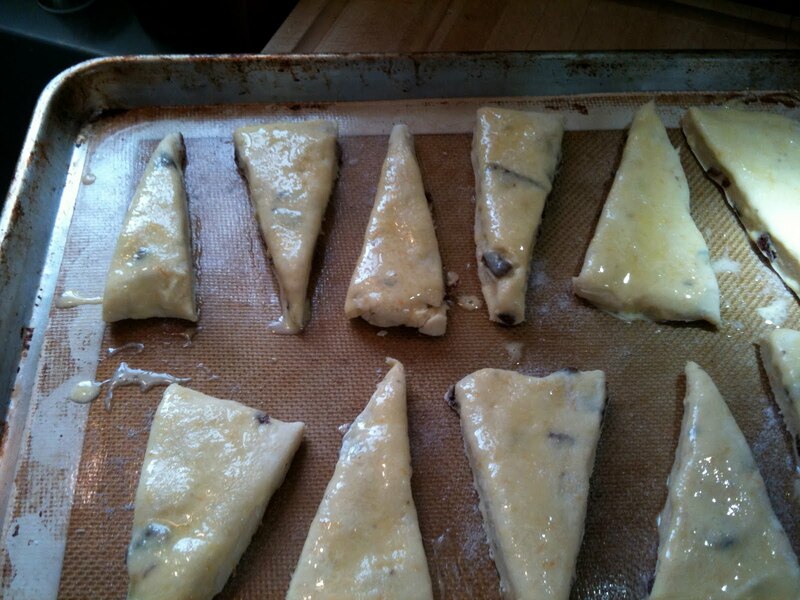 Sprinkle with sugar and bake for 20 to 25 minutes, until the outsides are crisp and the insides are fully baked. This recipe makes 12 Scones. Enjoy ! >Scones, yay! Awesome blog and great photos, Sarah! 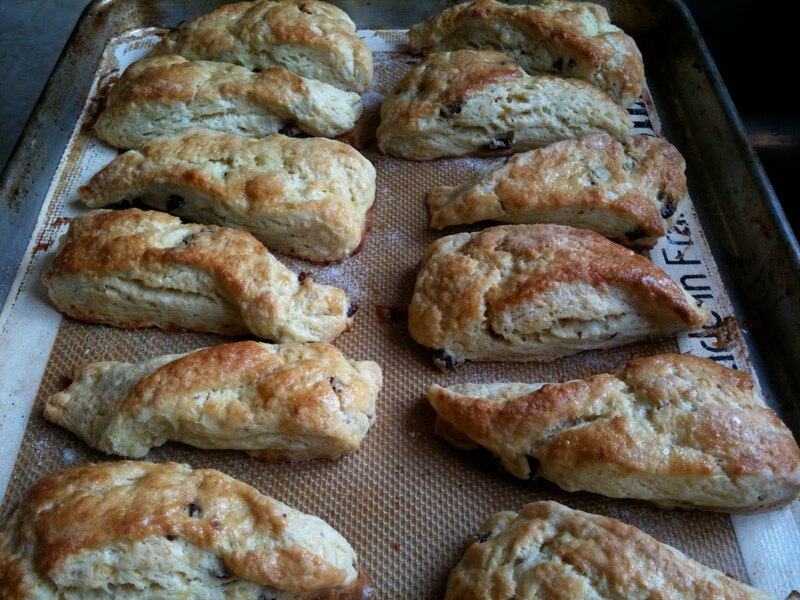 >oh yes your scones are deliciousness abounding!!! har har hee hee hee! please let me taste 'em soon ya' know as the Pattie's Day approaches! the blog is great and duh keep it coming sista! >Thanks for stating to use the paddle attachment in the "destructions"–as I am newer to my mixer than you. Not always sure which to use…so blog about that erh! >So, when can I order these for delivery? >The frozen butter tip is genius! I can't wait to make these. >Very impressed Sarah, good job!!. Joe is looking forward to sharing some dessert tips with you soon! !